Transformations in surveying and digital modelling are creating new opportunities for architects. At the heart of this change is BIM (Building Information Modelling), a form of architectural modelling that includes both design features and functional characteristics of a building in a single platform. 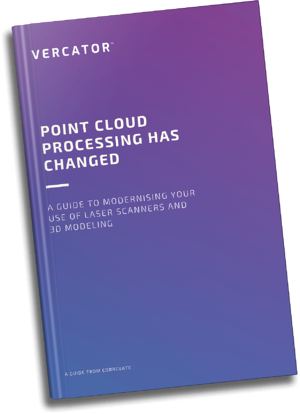 But, breakthroughs in point cloud processing are taking these changes even further, allowing BIM schematics to be brought directly in contact with physical space. Taking full advantage of these advances, however, is complicated by imprecise definitions that make it difficult to identify what is new and what is just the rebranding of old processes and technology. The power of BIM, specifically, is obfuscated by competing and ‘gradiated’ definitions. We will explain what architects need to know about the different kinds of BIM and the transformational outcomes ‘true’ BIM can offer to improve workflows and allow for the development of experimental designs. We will then offer insights into how multi-stage, vector-based 3D point cloud processing can advance this technology to a new level — expanding the utility of an already powerful platform. Architecture has traditionally worked in an iterative and manually intensive process. Designs are represented graphically and information is added to those illustrations with notes and specifications. Changes then must be made. Computer-aided designs (CADs) automated that process and object-oriented CADs allowed those notes and information to be included digitally. The result was simply a digital version of what had previously existed physically. In 2002, AutoDesk wrote a white paper entitled ‘Building Information Modeling’. This detailed a vision for a new method of construction collaboration that focuses on database-first technology. This popularised the use of the term ‘BIM’ and defined the technology that is often used to describe the benefits of ‘BIM’. In reality, however, everything from 3D models to digitised architectural plans get labelled as BIM, and most of these technologies are not transformational. In April 2016, the UK government required ‘BIM Level 2’ for all publicly funded construction projects. This accompanied the creation of UK BIM Levels 0-2 guidelines, with a proposed and still ‘undefined’ BIM Level 3 category. Practically, however, much of this is an appropriation of the term popularised following the 2002 AutoDesk white paper. Only ‘BIM Level 3’ can be used to describe what BIM was always supposed to be. BIM Level 0 effectively describes computer-aided designs (CADs). BIM Level 1 describes digitally shareable ‘object-oriented’ CADs. BIM Level 2 requires limited collaborative capabilities. This includes making all utilised CAD software capable of exporting to one of the common file formats such as IFC (Industry Foundation Class) or COBie (Construction Operations Building Information Exchange) — allowing for the creation of a ‘collaborative data environment’ (CDE). Files can be shared and edited by all team members. All of these categories of ‘BIM’ are rooted in the same graphical representation of traditional architectural data. Any changes made must be cross-checked and manually propagated across all of other files (schedules, framing and bracing diagrams, isometric drawings etc.) that remain separate. BIM Level 3 flips this on its head. It starts with the information about a building and then presents that information graphically. What this does is converge the many formats that architects, structural engineers and builders use to do their jobs into a single database. Each is enabled to use and contribute to the same database and then retrieve only the relevant information in the format that they are most familiar with viewing. Most critically, edits made to a plan in any one format are propagated throughout all other files because each file is simply a different presentation of the same data, not an independent dataset. The entire exchange can be automated and simpler to use for everyone involved. What do these different ‘Levels of BIM’ deliver to architects? BIM Level 0-2 delivers the same computer-aided design benefits that architects have been able to access for nearly three decades. BIM Level 2 is pushing the industry to standardise file formats and invest in the capability to share files digitally. The real change, however, is that architects can now call their old CADs BIM. BIM Level 3 is where the transformation has occurred. 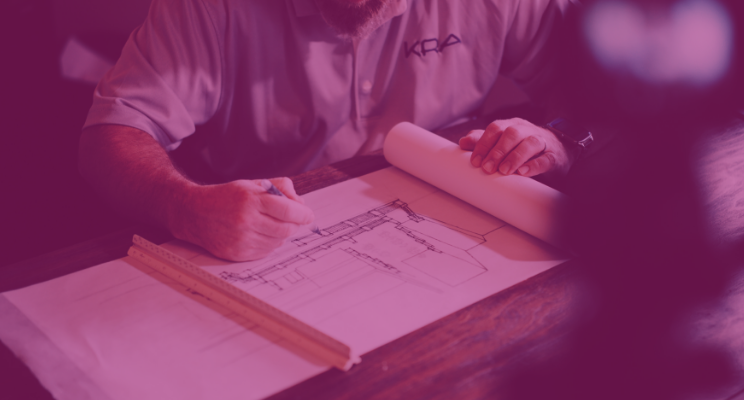 On the face of it, architects are able to engage with their CADs in the way that they always have, but the level of collaboration, input and streamlining of processes dramatically improves workflows. New options for assessment are also created, opening up new prospects for de-risking projects and delivering superior outcomes and processes. For example, BIM Level 3 delivers a platform for the hosting of 3D modelling and structural assessments. Architects are able to experiment with designs and materials, efficiently input that data into structural physics simulators and test the viability of plans or the impact of an earthquake, etc. Critically, all of this information can be cross-checked by structural engineers and any inputs made are automatically propagated across all files. A more collaborative work process is created with fewer administrative steps, allowing everyone to focus on developing and delivering the best product possible. Iterative testing is made easier, creating new standards for best practice designs, cheaper construction models and efficient use of materials. BIM also delivers a way to pitch projects. In addition to creating 3D models for structural purposes, 3D models can be used to showcase designs, even linking with virtual reality (VR) headsets to enable clients to explore a building on their own. BIM Level 3 delivers improved communication within teams and across client relationships. BIM Level 3 sits at the current apex of 3D modelling. But, any modelling tool is limited by the inputs that can be made. The flip side of 3D modelling is 3D point cloud surveys. Together these technologies deliver powerful opportunities, and just like the 3D modelling, the surveying community is undergoing something of a renaissance that is generating greater access to 3D models and allowing for their use in new ways. For architects, there are three important possibilities. The first is to use point clouds to form the groundwork on which a design-first BIM schematics can be built. When operating in a geographically/topographically sensitive location (a cliff-side, a tight urban area, in proximity to historic buildings or designing structures connected to existing buildings) this can improve the utility of the model and increase confidence in success. The second is for use in renovations/reconstructions. Whenever an architect is brought in to undertake a significant renovation project, building on top of existing plans presents a challenge. For old buildings, not only are existing architectural schematics often not digital, they can be inaccurate. Being able to quickly conduct a point cloud survey will deliver an accurate, up to date digital model on which your modern BIM schematic can be built. The third is the ability to compare designs to output as construction is undertaken. This allows any discrepancies to be identified, errors rectified and eases the use of prefabricated materials. This enables architects to depend on different construction techniques during design and be assured in the success of the project throughout construction. The issues with commissioning point cloud surveys has always been cost. Although point cloud technology delivered an immeasurably more efficient way to undertake 3D surveys than anything that came before, it has traditionally required slow and laborious processes. 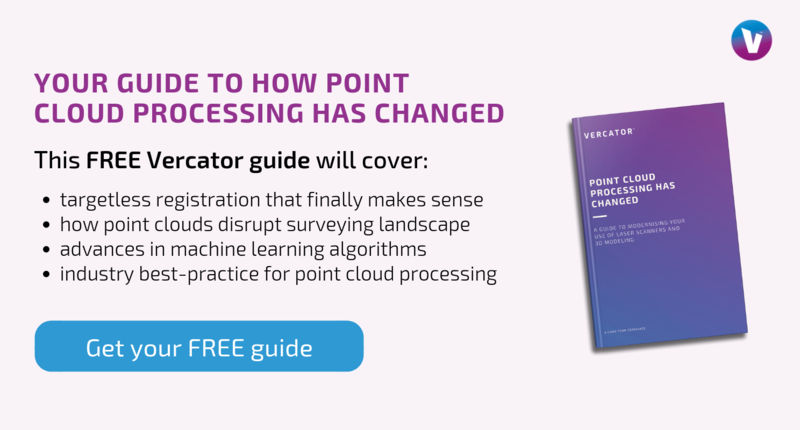 What has changed to enable a more dynamic use of point cloud surveys for both construction sites and existing buildings is the development of multi-stage, vector-based and automated targetless point cloud registration. This new technology has greatly increased the speed at which scenes can be scanned and data can be processed — removing work-hours and greatly reducing the cost of 3D modelling. Processing is accelerated by 40%-80%. Architects should look to partner with surveyors that take advantage of the most advanced point cloud processing software to deliver the greatest value for money when commissioning a survey. This will enable architects already empowered by BIM Level 3 to take their design capabilities to the highest level possible. BIM delivers the height of modern design. The true power of BIM is often lost, however, due to confusion over what exactly counts as ‘BIM’. Architects get involved in projects using ‘BIM’ only to find themselves using the same CAD enabled workflows they have been using for years. To access the true potential of BIM, architects need to go beyond the BIM Level 2 ‘mandate’ and insist on database-first, collaborative software. To get the most out of this technology, architects should look to partner with surveyors who embrace the latest multi-stage, vector-based point cloud processing software. The efficiency increases delivered by advanced point cloud processing techniques allow for the application of point cloud surveys under versatile circumstances. Combined with BIM, point clouds deliver architects the most dynamic and accurate design and construction processes available in 2019.